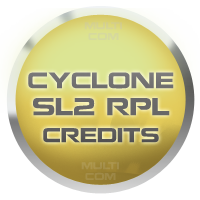 Cyclone Box PA SL2 9DDB (RAP/RAPIDO) credits are service dedicated for Cyclone Box users allows to unlock unlimited leatest BB5 phones such as 6600s, 6600f, 3600s, 5220 using only Fbus cables in few seconds. Unlock are 100% safe and can repair demaged phones also. 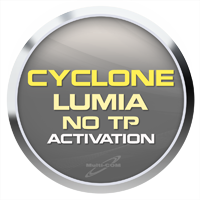 Cyclone Lumia NO TP Activation it's activaiton dedicated for Cyclone Realoded & Classic. After this activation you can root yoru Lumia 800 model for free and witthou topening phone or using TP. All other models are in progress. Credits are needed for threshold - after activaiotn you will still got 60 credits on your account. 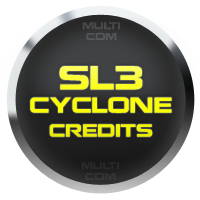 Cyclone SL3 unlock - 60 credits it's credits for Cyclone Box that allows to unlock of leatest Nokia Sl3 phones as N97 mini and others by your Cyclone Box. All fast and safe - by direct code enter into your phone.